On Sept. 5, Sen. Mazie Hirono, D-Hawaii, submitted into the record of Brett Kavanaugh’s Supreme Court confirmation hearing a letter organized by the Secular Coalition of America and signed by FFRF urging senators to reject his nomination. The Freedom From Religion Foundation proudly signed onto this letter, which pointed out that Kavanaugh’s nomination is a threat to the constitutional order of the United States and to the religious liberty of all Americans. “Judge Kavanaugh’s record and writings demonstrate support for the entanglement of religion and government, and he has continuously argued in favor of religious coercion above the constitutional guarantees of religious freedom and individual liberty,” the letter states. To safeguard the constitutional separation between church and state, which FFRF views as the crown jewel of the Bill of Rights, the Senate must reject Kavanaugh’s nomination. Call your senators today. FFRF’s action alert gives you all you need. Religious freedom means the right to choose a religion, or none at all, without interference by the government, and simultaneously prevents religious authorities from interfering with our system of government and law. Religious practices, if used to excuse oneself from the law, would “make the professed doctrines of religious belief the law of the land, and in effect to permit every citizen to become a law unto himself.” Historically, the Supreme Court, like the Founders before them, has believed such a system to be unworkable. 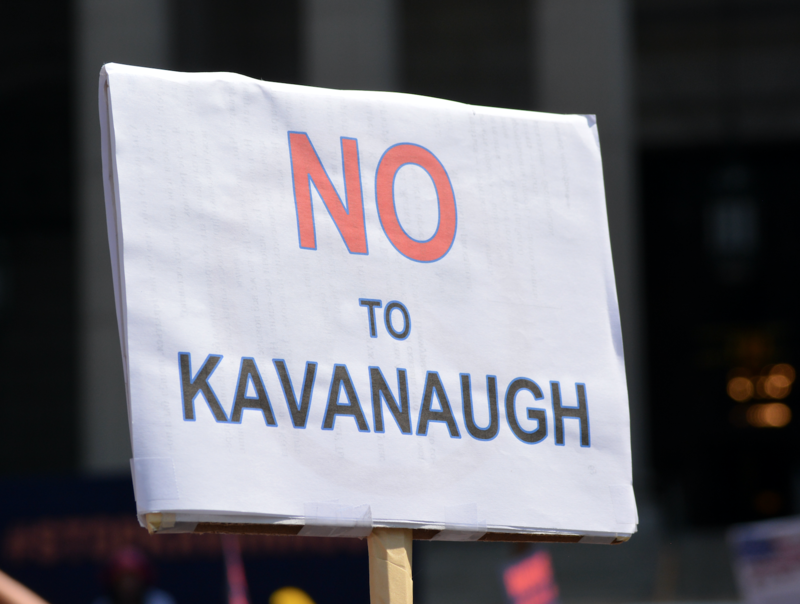 There is still time to stop Kavanaugh, but only if you act.